We’ll likely have different reactions to the ‘anthem’ which introduces UEFA Champions League matches. For some, it may be an inoffensive – still uplifting – steal from Zadok the Priest with usefully aspirational ideals expressed by music and words. For me, the underlay of Handel’s simple processional with anachronistically Romantic dissonance and interval-leaps makes for a toe-curling clash of styles only partially redeemed by the unintended irony and cognitive dissonance to be enjoyed every time a billion-dollar organisation thinks that it looks classier by co-opting classical music without making any effort to understand the gulf, the chasm, between why a composer wrote a piece, and what the organisation wants it to do now, which is inevitably either glorify themselves or pimp their wares. If the story as Tony Britten tells it is true, what conclusions can be drawn from it? That UEFA knew they wanted a shiny new brand, but had no idea of what the brand would be. Indeed, its content was unimportant to them compared to the ‘look and feel’; so much so that instead of using a professional (and expensive) advertising or marketing agency to help them shape the elements of the brand, they commissioned a composer and expected the words to be thrown in for free. A quarter of a century on, the anthem has a life of its own, albeit one carefully controlled by UEFA, who evidently regard it as a sacralised object that can be wholly identified with the organisation and promotes its values. 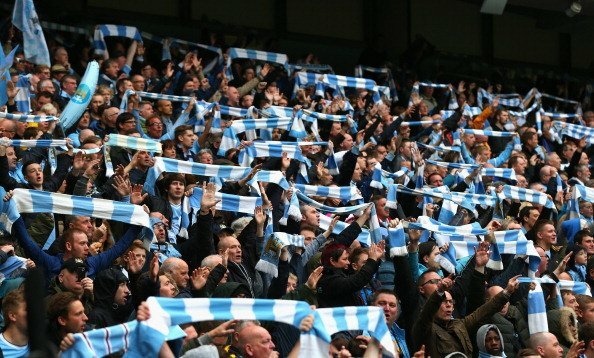 Manchester City fans booed the anthem at a match against Sevilla, as they have done before, and now UEFA may take action against the club – for what? Elevating itself to nation statehood with as much hubris as FIFA, the governing body it purports to resist, the organisation has issued an edict banning ‘the disruption of national or competition anthems’. Is this another instance of the dangerous power and status of music, feared by philosophers and dictators since it was invented? Posted on October 23, 2015 October 23, 2015 by Peter Quantrill	This entry was tagged anthem, Champions League, FIFA, Manchester City, Tony Britten, UEFA. Bookmark the permalink.